The AXA/Basta Sprint headlight offers a less expensive alternative to other dynamo headlights. The LED in this headlight has less power than the most expensive lights, and the more simple reflector produces a less effectively shaped beam than some of the more costly lights, however this is still a reliable and very effective headlight at a much more economical price. 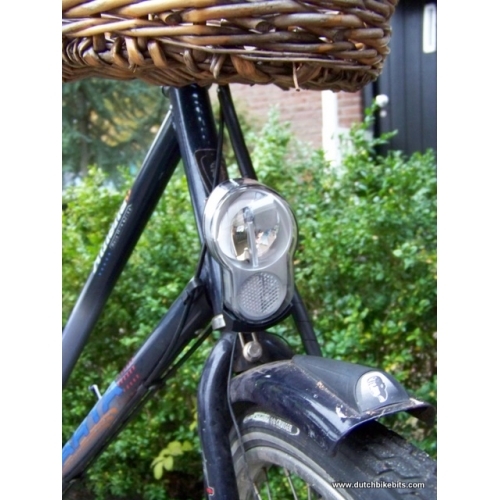 We use this headlamp ourselves on both Judy's town bike and on our delivery bike. This lamp is a good deal brighter than standard halogen dynamo lamps, without a high price tag. 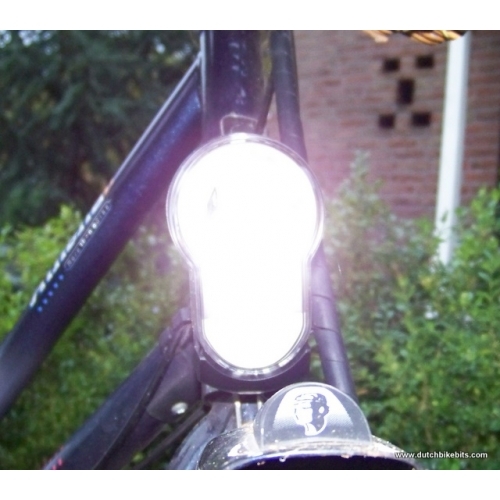 It's a good bright light for use in town, but for high speeds in the countryside it may not be quite enough. Intended for operation from a dynamo, the dynamo lights can also be used with 6 V DC power from your own battery in a battery setup. 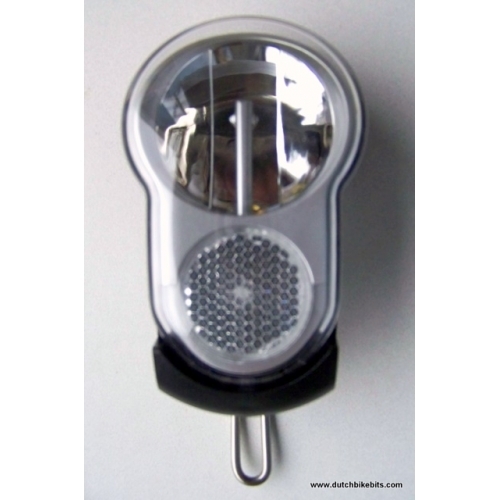 Note that the battery powered types have an output of 4 lux, and different dynamo versions vary between 10 and 20 lux. Either dynamo version may be used with a bottle or hub dynamo. Leave the switch in the on position for a bottle dynamo. 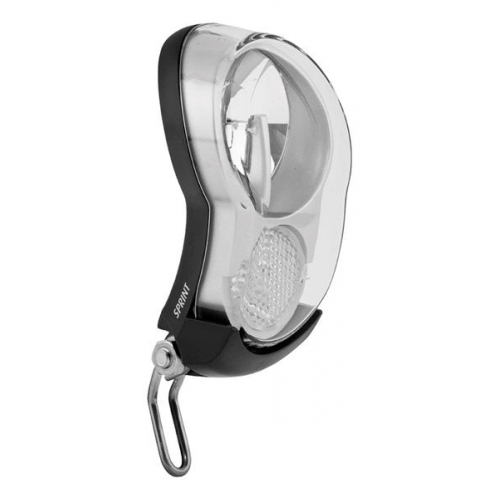 The dynamo version of these lights is delivered with cables to attach to a dynamo. The battery version comes with the 3 AA cells required to power it for 100 hours (first fifty hours fully illuminated, switching to a lower setting to be seen by for the last 50). For a similarly economical light which remains on when you stop, we suggest the Spanninga Ergo. For a brighter light at a slightly higher price, see the Union UN4268.